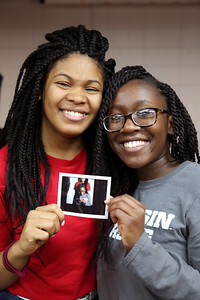 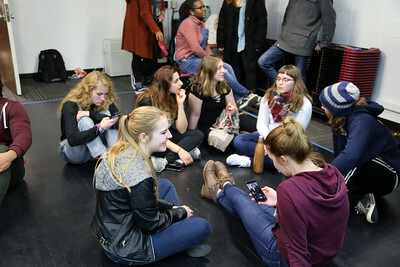 Studio residents were welcomed back to campus on Tuesday, January 17, 2017 with a party and Polaroid Workshop. 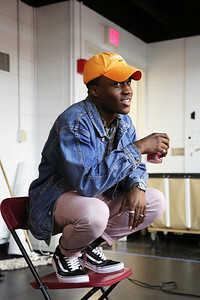 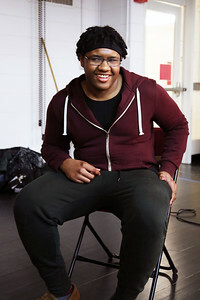 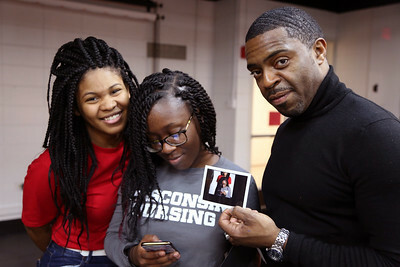 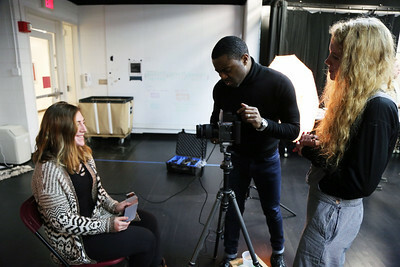 Students created Polaroid images with new Faculty Director Faisal Abdu’Allah. 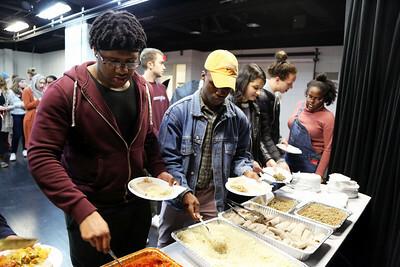 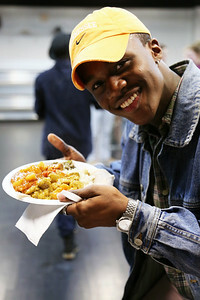 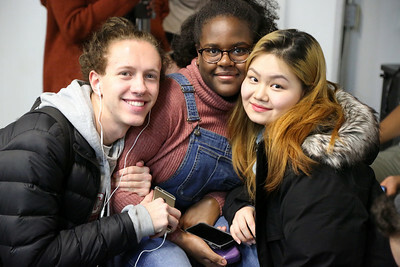 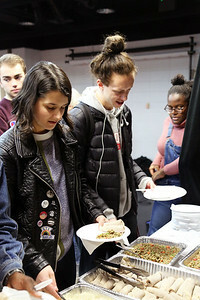 Everyone ate delicious food and mingled with fellow Studio residents after the winter break! 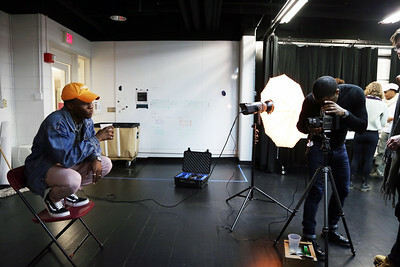 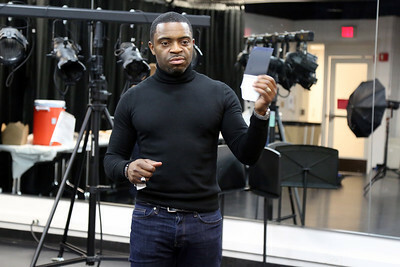 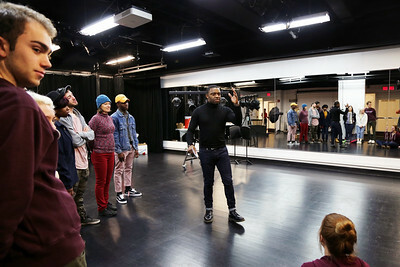 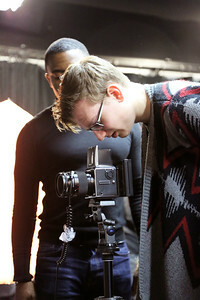 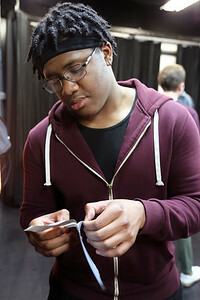 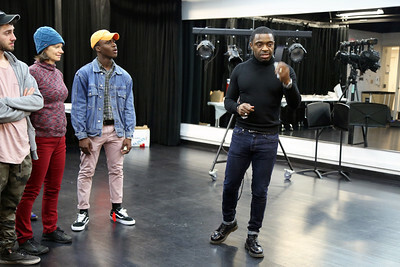 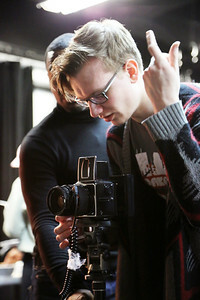 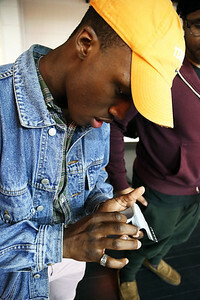 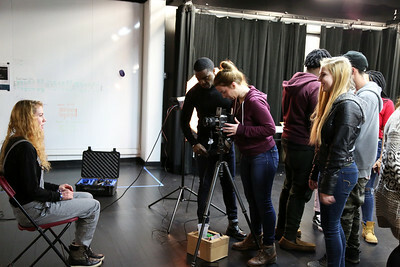 Faisal Abdu'Allah, the Studio's Faculty Director, led the Polaroid Workshop. 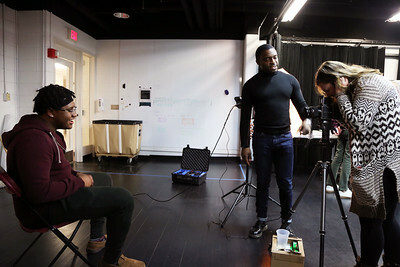 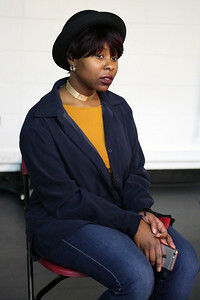 Residents posed for their portraits in front of the Polaroid camera station in the Blackbox Theatre.